Smart Lessons in Education Perfect include the capability for students to give self-marked extended responses. You can review their work and give them feedback on their free-form answers from the Control Panel. This article assumes you've created a task for your students to work on. 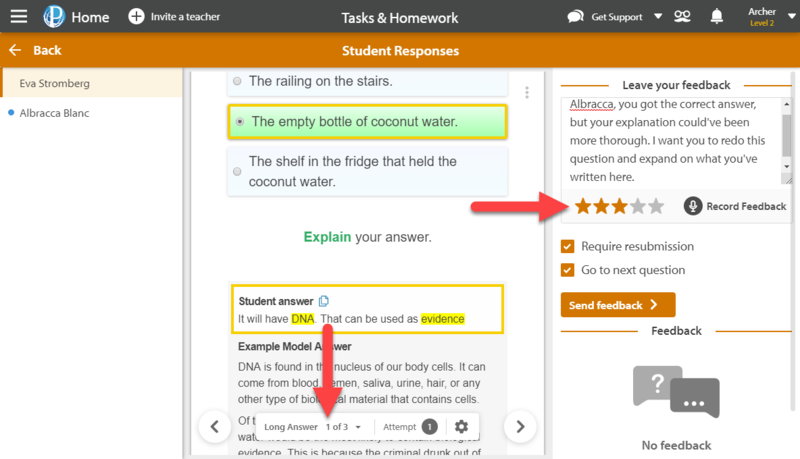 If you want to see students' work on a Smart Lesson which they've done independently, see How do I give my students feedback on Smart Lessons I haven't assigned as a task? Navigate to the task in the Tasks & Homework section of your Control Panel, mouse-over it, and select Responses. Here you'll see each of the long answer questions. 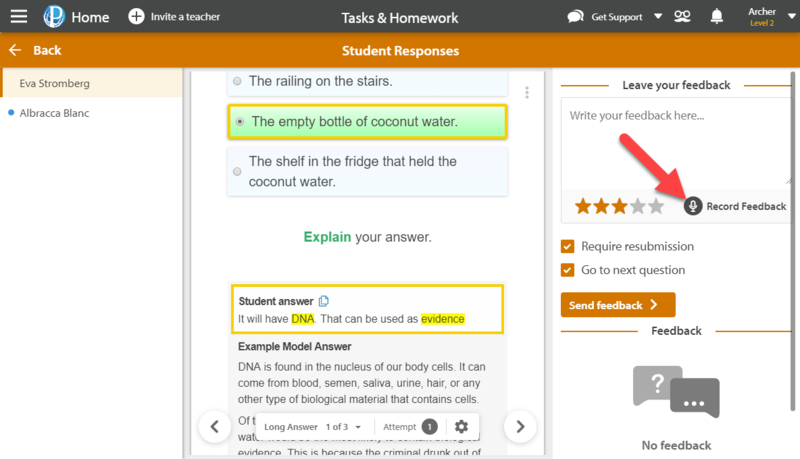 Any new answers will be noted on each question, and you can click on a question to see student responses. The question will appear on the screen, with the student's answer below it. To the left of the screen, you'll see the name of the student whose answer you're viewing with any other students who have answered the question listed below. You have the option of giving feedback and selecting a star rating. 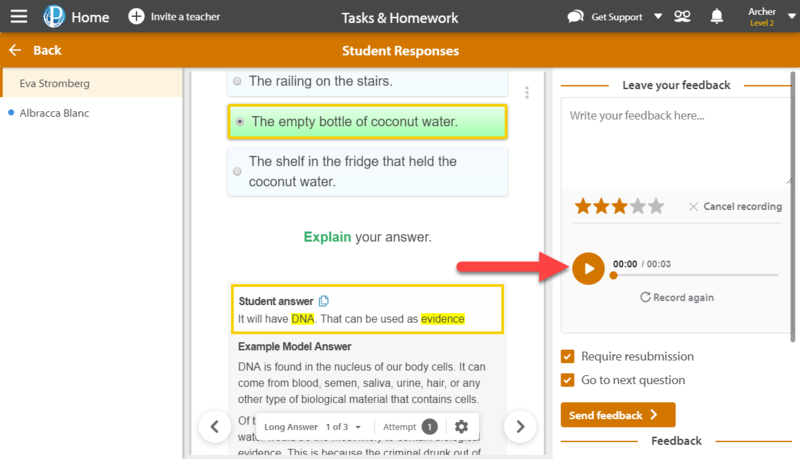 You can also select whether or not you want students to re-answer a question by checking the Require resubmission box. Once you have recorded your feedback, you can play it back by selecting the play button icon. If you are not happy with your recording, select Record again. To post your feedback, select the Send feedback button. You can move onto next question or answer using the navigation pane/arrows at the bottom of the page. For information on how students can view your feedback, refer to our help guide How do students see feedback on their self-marked work?.